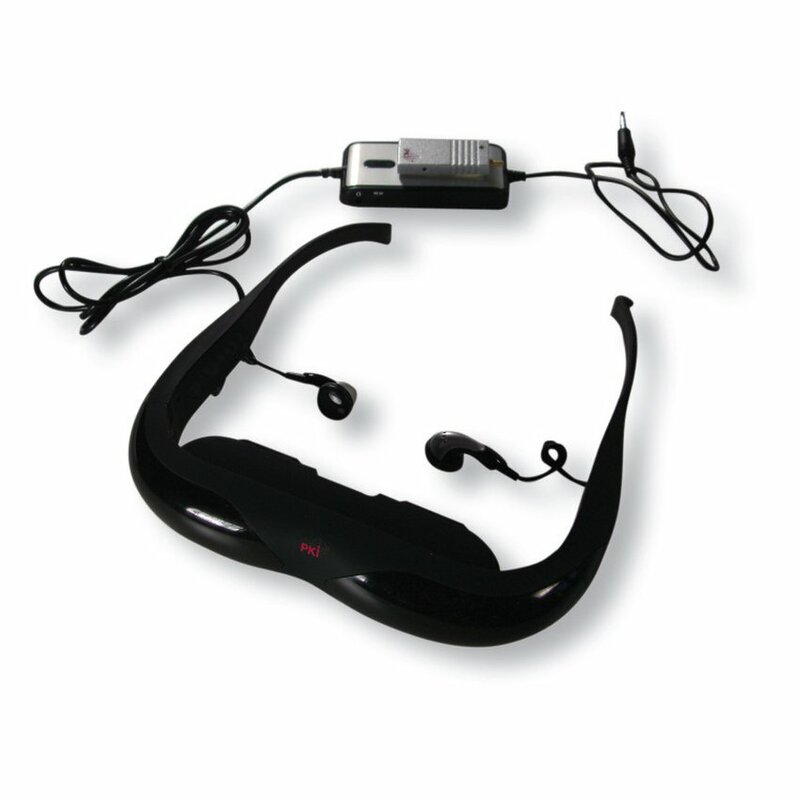 These video glasses are designed for hands-free audio / video observation. 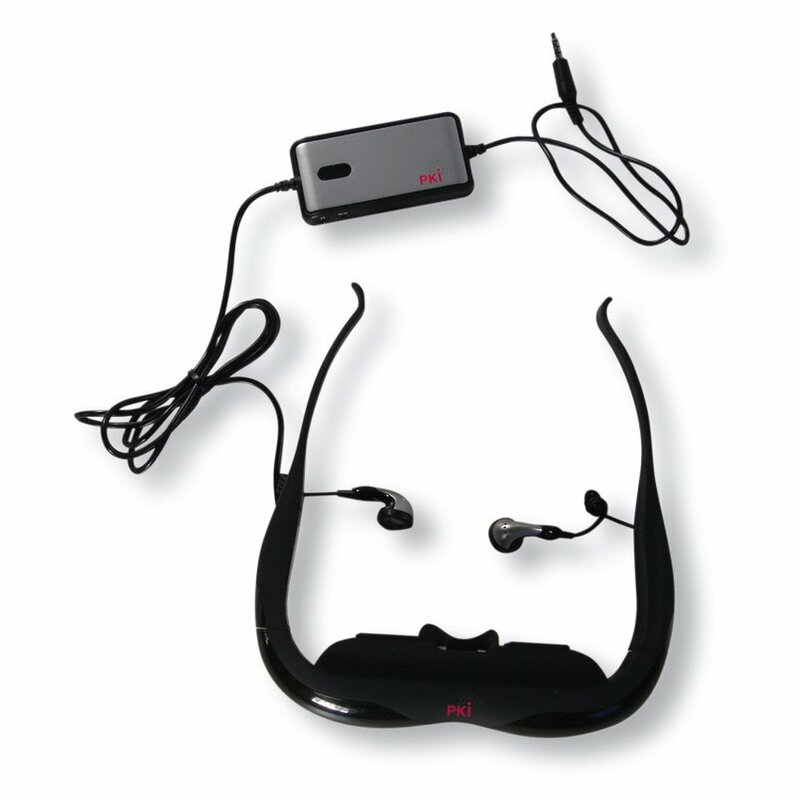 Instead of using an A/V LCD-display receiver you simply put on these glasses, enabling you to hear and watch like on TV. As looking over the spectacle frame very easy, you can either watch the video pictures or walk and observe your environment at the same time. Having your hands free for other activities is a great advantage. PKI 8140 can be connected to any A/V output. PKI 8145 additionally includes a miniature A/V receiver in the GHz-range enabling you to receive wireless signals with full liberty of action, which is perfect for A/V observation.